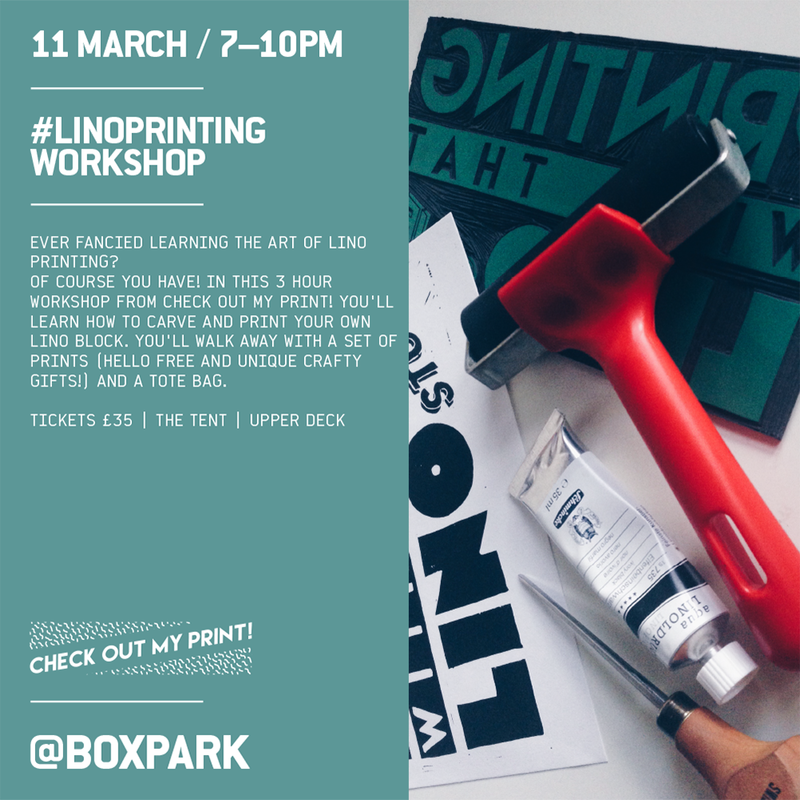 One workshop caught my eye because it involves lino printing. In a three hour workshop you'll learn the skills and make some prints and a tote bag (yes, I have a total tote bag addiction). I know it's very short notice, but you never know you're in London next Wednesday.